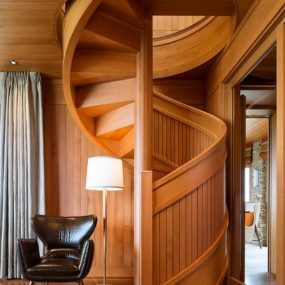 Spiral staircases are the perfect opportunity to explore curvaceous design concepts as each tread wraps around a central pivot, ever rising to the floor above. 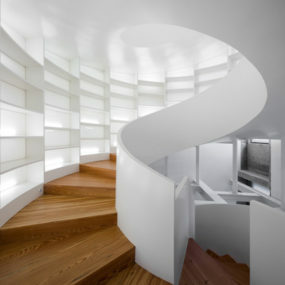 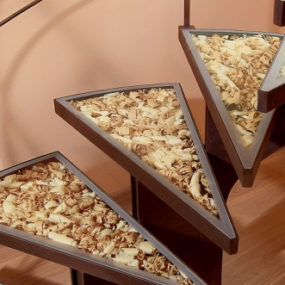 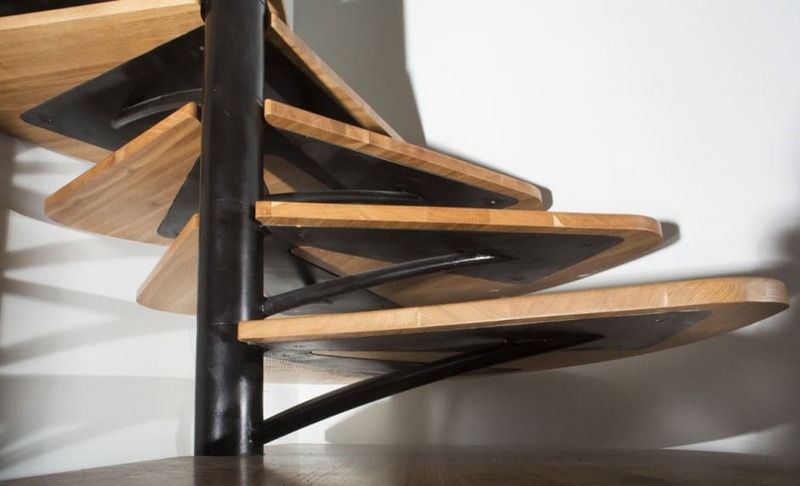 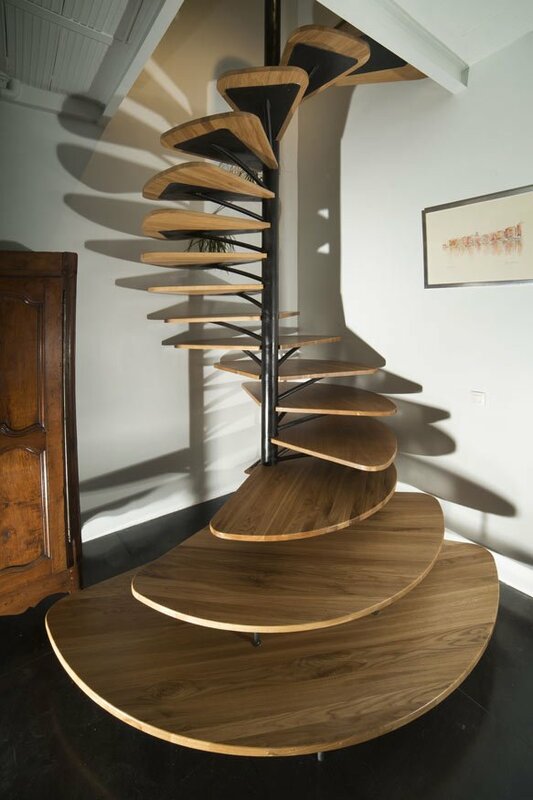 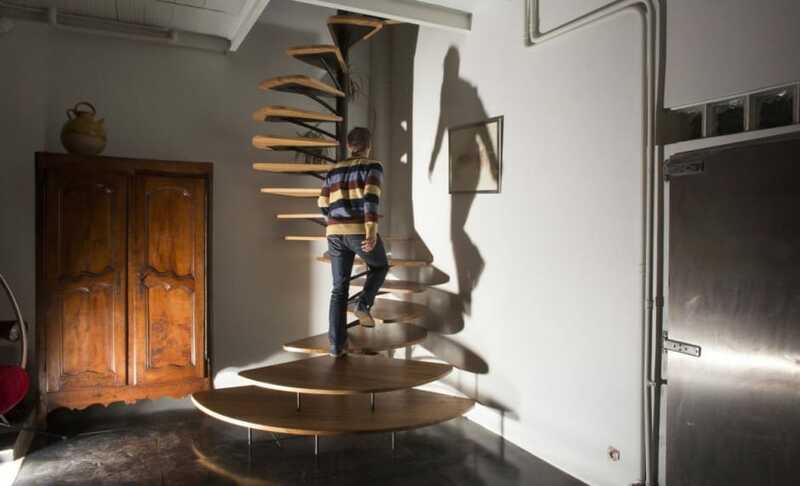 Here, French designer, Paul Coudamy has taken the concept of the standard spiral staircase and recreated it into an oak stairwell that expands the size of the treads at 3 steps from the bottom to create an easy to access platform with tread wedges that almost double in size as they get closer to the ground. 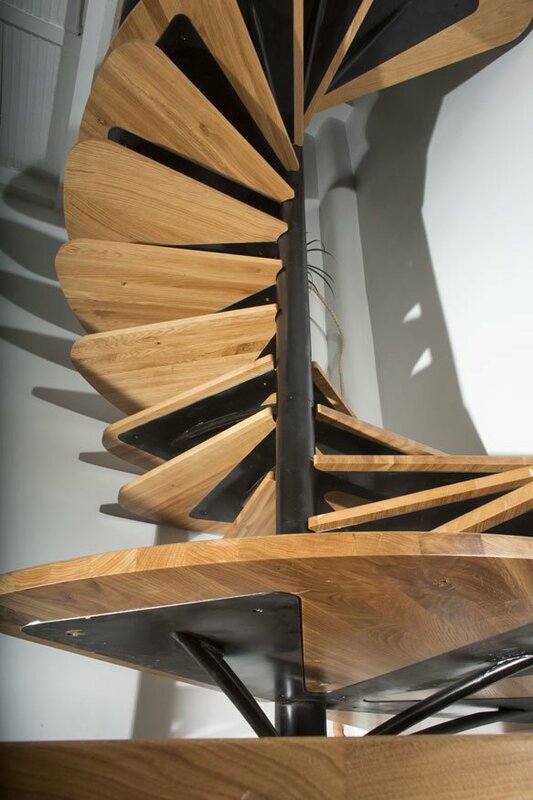 It is as though the oak is pouring off of each tread to create an ever growing pool of wood as each tread descends downward. 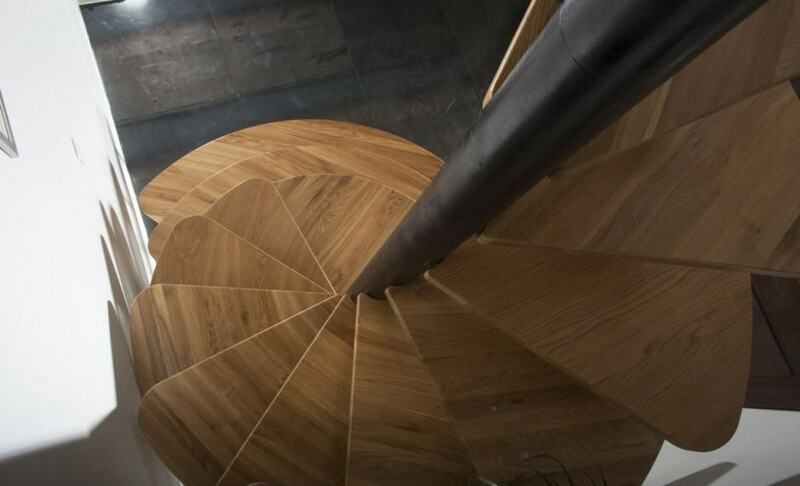 The “spilling” of each step is further enhanced by changing the angle of the oak planking on each level and rounding the points where each of the two angles meet the curve. 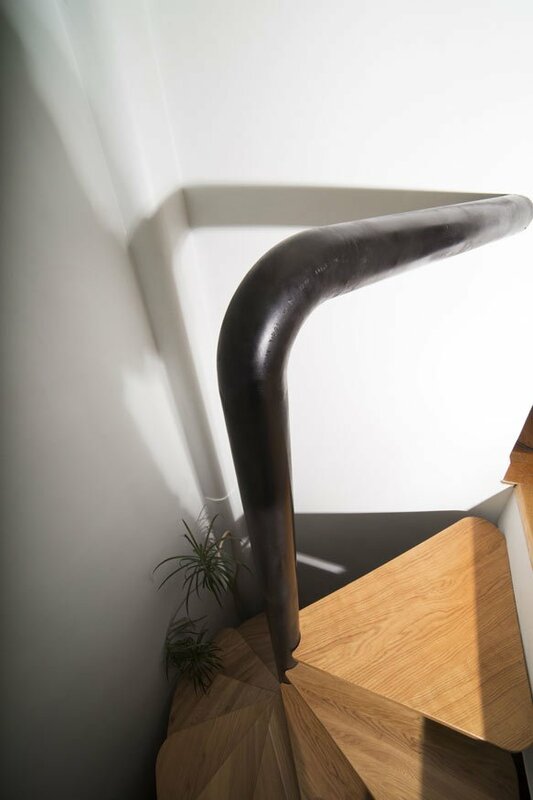 The backbone of the Parisian stairwell is a black powder coated metal post with ribs that reach out and triangular wedge supports that hold the oak treads. 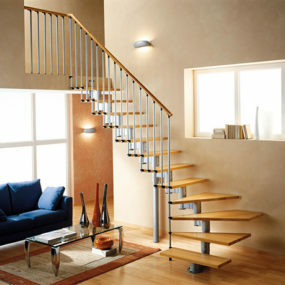 The size of the bottom two treads requires additional support created by 2 and then 3 riser posts. 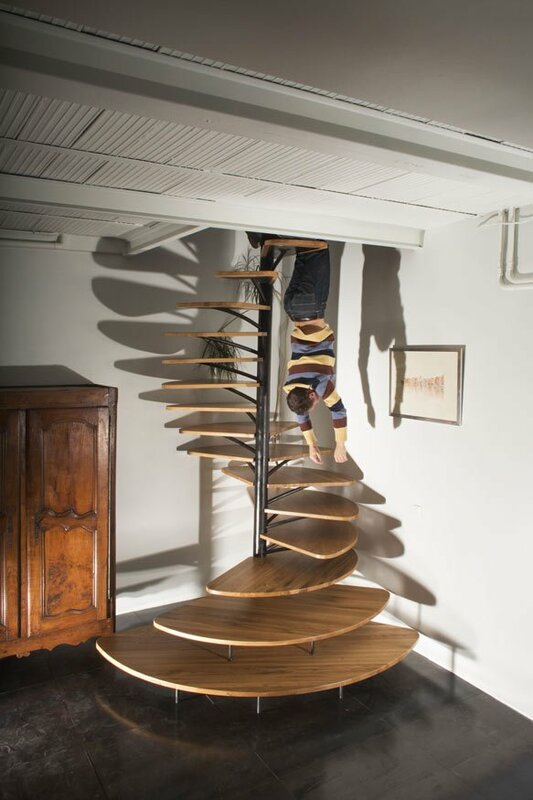 The curve of the stairs leaves plenty of head clearance whether ascending or descending – or in this case hanging upside down. 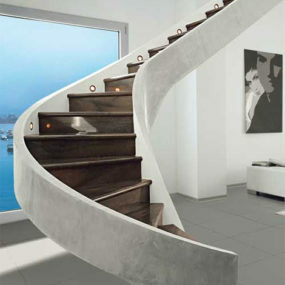 The shadows created by the stairwell add a third dimension of fluidity that gives the staircase a life of its own. 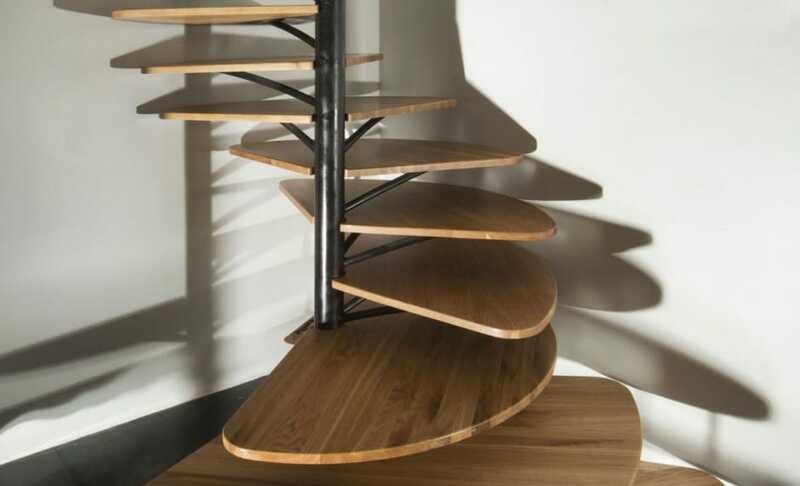 The oak treads create a soft natural contrast to the rigidity of the metal backbone. 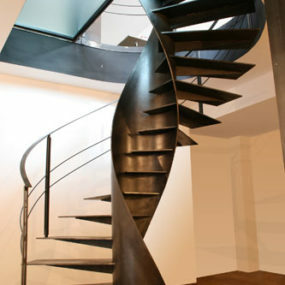 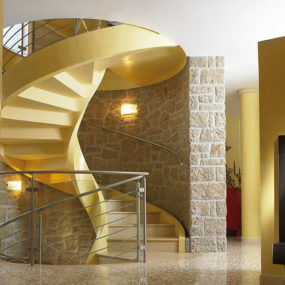 No matter what angle this bespoke stairwell is observed at, the artistic expression is one of grace and elegance.